BBS wheels are vehicle wheels that are specifically designed for maximum traction. They allow drivers to better take corners on the roadway. BBS wheels have been very popular in motorsports for the past thirty years or so because of their specific design and the research that the company does to ensure that their wheels offer benefits for both competition and everyday drives. BBS wheels are considered to be among the finest alloy wheels available and are used by many high-end manufacturers and a host of race teams. BBS began in 1970 when Heinrich Baumgartner and Klaus Brand began making plastic auto parts for a variety of different cars in Schiltach, Germany. They named their company BaumgartnerBrandSchiltach which was later shortened to BBS. In 1972, they began designing three-piece wheels that were specifically manufactured for racing use. The two worked for years to perfect their wheel and in 1983, BBS wheels were released for consumer vehicles. By 1987, BBS wheels had retail facilities located all around Europe as well as in America and Japan. During the 1990s, BBS wheels was the main manufacturer and supplier of OEM alloy wheels for many high-end car manufacturers such as Volkswagen, BMW and Audi among many others and supplied wheels to racing teams from all over the world. In 1994, BBS wheels supplied wheels for the Indy Car Series, DTM, ADAC and Formula One. In 1995, they invented the RSII wheel which as a much lighter wheel with even higher quality than previous models. By the end of the 1990s, the company had begun supplying wheels for higher-end car manufacturers such as Ferrari, Porsche, Jaguar and DaimerlChrysler. BBS wheels range in prices from just a few hundred to a few thousand per wheel depending on the specific model. Many higher-end automotive shops provide the wheels to consumers and many online retailers offer them for sale as well. They can be purchased in a variety of sizes to fit most any vehicle. BBS has in the forty years since its inception, provided wheels that drivers count on for high quality and near perfect performance. BBS wheels have been on more championship race cars than any other wheel manufacturer throughout history. BBS takes great pride in providing motorsport championship wheels for more than 35 years. The wheels continue to be three-piece wheels with a center section that is created with magnesium alloy or with forced aluminum. The rim halves are manufactured from the highest quality aluminum available. 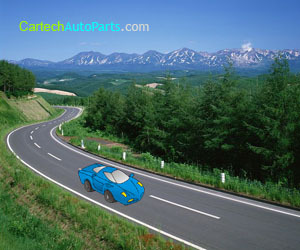 Many models are available for motorsports, consumer vehicles and a variety of other vehicles. The E88 racing wheel models are available in a wide range of widths as well as offsets in 18, 19, 20 and 21 inches. BBS racing wheel models include sizes such as 19, 20, and 21 inch. Racing wheels available include the BBS RE-Mg ACQ Magnesium and the BBS E88 among many others. When purchasing BBS wheels, it is important to ensure that you are getting a certified manufacturer’s product and not a copy. BBS wheels have the BBS logo printed on the inside of the hub. Although it is very possible to copy the BBS style, no other manufacturer has produced the quality of these wheels and when purchasing it is very important to trust the retailer from which you are buying BBS wheels. Many retailers are certified suppliers for the company. Be certain that you do your research into any retailer to ensure that they are indeed selling original BBS products. You may find yourself paying a lot of money for a wheel that simply cannot live up to the quality of a BBS wheel.